Genuine OEM Ricoh Toner Cartridge Multipack, 66,000 page yield. Multipack includes: six Black toner cartridges. 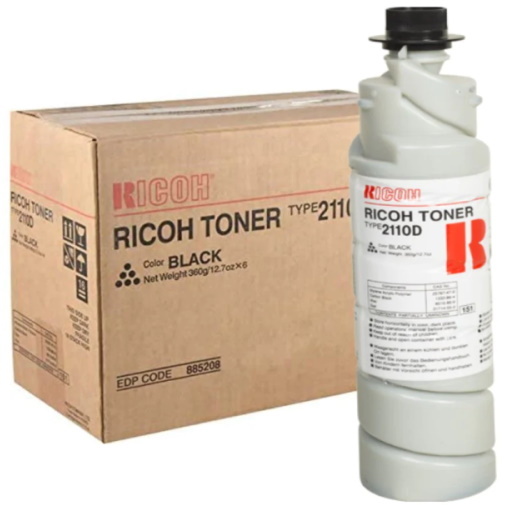 Ricoh part number: Ricoh 885208, Type 2110D. Color Laser Toner Cartridge compatible with Ricoh Aficio 220, 270, AP2700, AP3200.